Today Fan Art Friday returns to its roots, drawing on… drawings from online art community. We’ve got another four pieces of fan art for you, as well as a bonus piece of Official Fan Art! 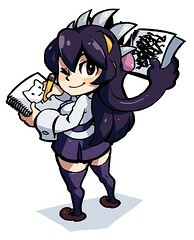 And a reminder: we’re collecting gender-flipped versions of the Skullgirls characters for a future installment! Handsome? Buff? Send us your manly reinterpretations of our characters! 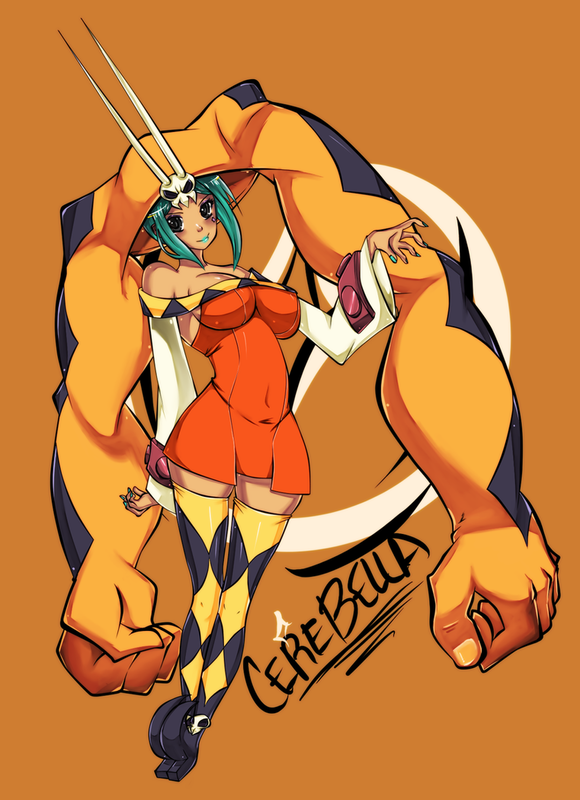 The amusingly appellated ButteryFingers drew this excellent rendition of Cerebella! x-Nervosa-x drew this truly creepy portrait of Peacock. Ever wonder what Ms. Fortune does in her spare time? Thanks, Thnikk-of-doom! A sultry sense of disapproval permeates this fitting portrait of Valentine by Kenken-abu. Finally, we end with this piece of Official Fan Art by Skullgirls clean-up artist, Fychan! All of these are great, I like the one by Thnikk-of-doom.